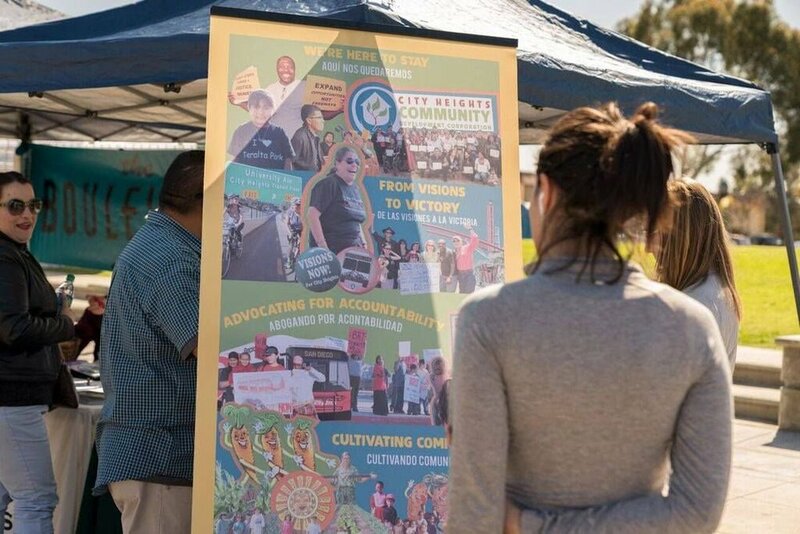 Pueblo partnered with City Heights CDC to tell the 35 year history of resilience of City Heights community members regarding advocacy efforts in opposition to the development of the SR15 freeway and community benefits that they were able to win due to their perseverance. Pueblo developed a storyboard that told this story which will be used at community events and digitally online to educate and co-power today's residents as they embark in a new social justice struggle-- combating gentrification and displacement. The storyboard highlights that their struggle stands on generations of political activism and ends with the bold statement- WE ARE HERE TO STAY.